Most orders received before noon get processed & shipped the same day. Prox Access supplies branded original and high quality swipe card & fob, as well as special copyrighted Prox Key compatible with your current access control system. Our special copyrighted credentials Prox Key have been tested with citric acid to make sure that the quality is warranty fro decades! Prox Access can supply you with every existing access card and fob systems on the market. 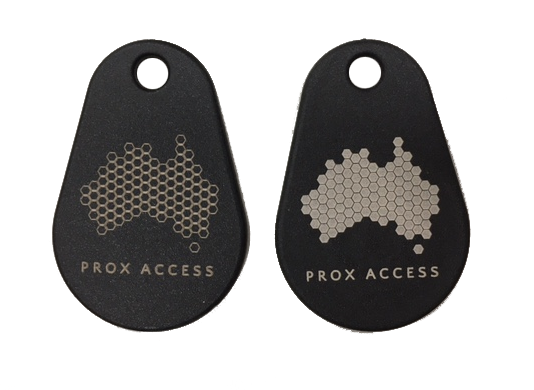 Special Prox Access credential working with any 125kHz system for a cost effective and long term investment. Prox Access introduce the Prox T credential. A unique key tag RFID, developed to be 100% compatible with your existing security system. 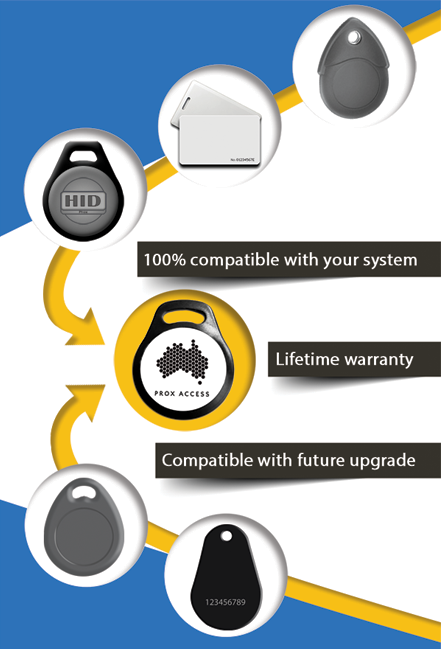 The Prox T RFID credential allows you to order next extra keys compatible with your security system and that you can keep even the day you decide to upgrade your system to a more secured version. No more need to throw all your credentials anymore, you can save thousands of $ and can upgrade at anytime to the most secured security system on the market for your premises. Prox T credentials are compatible with Biometric readers such as Fingerprint (up to 10 fingerprints), and many other systems. To place an order or for more information about the compatibility of the Prox T credentials with your current security system, please do not hesitate to contact us. WARNING: Asking us for FOB cloning / copying will be refused. Duplicating access keys is against good security practice and will compromise the entire security system of the premises concerned. Cloning an RFID keyfob / swipe card is subject to regulation those can be punish by the law. Do Not Copy your RFID keytag / Swipe card, simply order new extra keys and add the sequence number in your security software management.